DNA Pens Kickstarter Campaign – Pens! Paper! Pencils! Many pens are described as ‘unique’ but the DNA Pens by Mike Smoothy truly are. Each and every pen is different to every other. 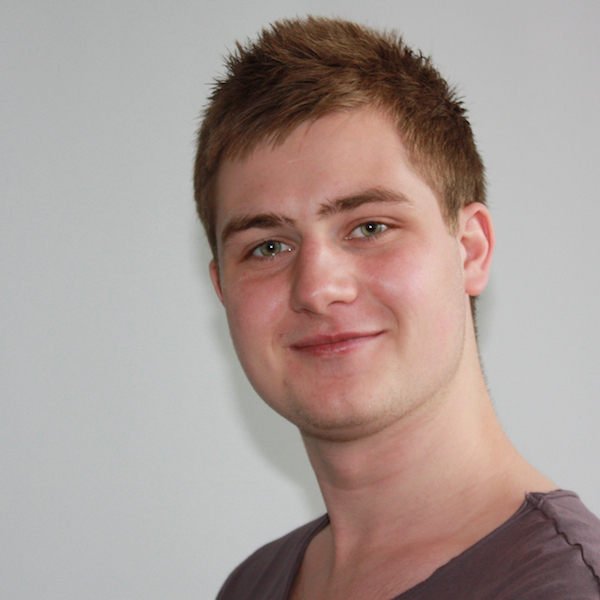 Mike plans to use 3D printing and clever software to ensure that each and every DNA pen has a unique design. I’ve not tried one of these pens as Mike has just a few prototypes and he needs to keep hold of them! But this looks like a fascinating and unique British pen and I want to support that kind of thing as best I can. They also take D1 refills which means there are all kinds of ballpoint and gel ink options available for it. When Mike answered these questions his Kickstarter campaign wasn’t quite funded but as I write this it has met its funding goal and still has 23 days to go. I hope you’ll find this interview as fascinating as I did! Thanks Mike! You have a degree in product design. What do you feel makes a product well designed? For me there are two key aspects in designing a good product: The first is innovation, the second is an understanding of the product requirements. Essentially what the consumer is expecting from it. When I say innovation I don’t necessarily mean game changing technology, but something that makes a product different from others on the market… new materials, processes, or even keeping quality but lowering prices, would be examples of simple innovation. Essentially when you buy a product you expect it to do its job, but what makes you pick it over something else? While branding and marketing all play their part, a good design should stand out from the crowd on its own merit. So when I say innovation, I guess I’m talking about a products unique selling point. I also mentioned understanding product requirements. What I mean by this is that a product should be able to do what the consumer is expecting, this isn’t necessarily innovative, but allows the product to function in the way the consumer expects it to. This can include all manner of things from technology, to quality, reliability, ergonomics, aesthetics, and beyond. A good design is more than new; it should build on what has been proven in the past. I think there is a lot of focus these days on what products are better than each other, when really, good designs don’t have to be better than one another. But rather, they just have to function well and be different from others on the market. 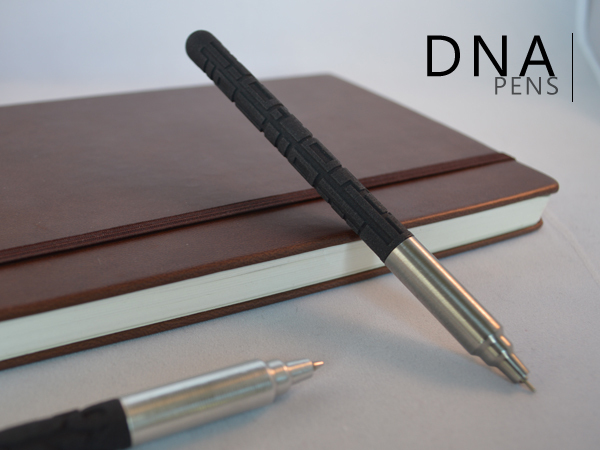 The DNA pen for example aims to be a good quality pen designed around a reliable and enjoyable writing experience, combined with the innovation of being one of a kind, and British manufactured to an exceptional standard, at a high street price. How does this apply to a pen? In my opinion any given pen has some pretty simple basic product requirements: it has to accurately transfer ink to paper and be reliable in doing so. But depending on the pens target market it will then have more unique product requirements. For example a disposable pen will also need to be low cost, whereas as a high end pen will need to have replaceable refills, quality manufacture, and be designed to last a longer period of time. So the product requirements break pens up into all manner of categories based on the unique expectations people have of them. This is where innovation fits in. Each market sector is saturated by pens and there are aspects which should make each stand out. Just think how many different pens you could buy for any given budget. But what do you notice about the pen that makes you want it? 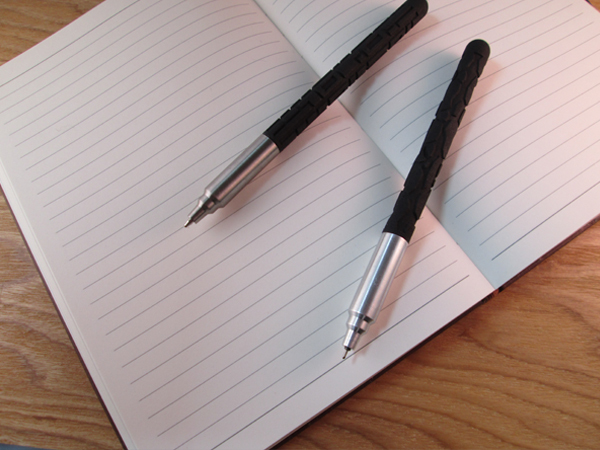 This can be seen more obviously in products such as the fisher space pen, which can write almost anywhere, and compact pens that fold up, but less obviously in pens which have carefully designed ergonomics and refills that make writing really smooth. While some pens are innovative, and others not so innovative but very good at meeting the basic requirements, there are others that do both very well. These pens are the ones I would consider to be good design. An example of this to me would be the Lamy Safari fountain pen, of which I’m not a huge fan of (just not too keen on the look), but respect that it is really great design. I say this because it’s a good quality fountain pen, that works well. It meets the requirements that would be needed by the user. However, it’s also incredibly affordable making it accessible to those who would not feel confident enough in fountain pens to invest in a more expensive one and still remain of high enough quality that once bought a person can begin to enjoy the thrill of fountain pen writing without being disappointing as they may have been with another cheap alternative. The innovation to me in this pen is the retention of quality while creating an affordability of price. Well firstly because I wanted to design an everyday object, something that people can enjoy every day. 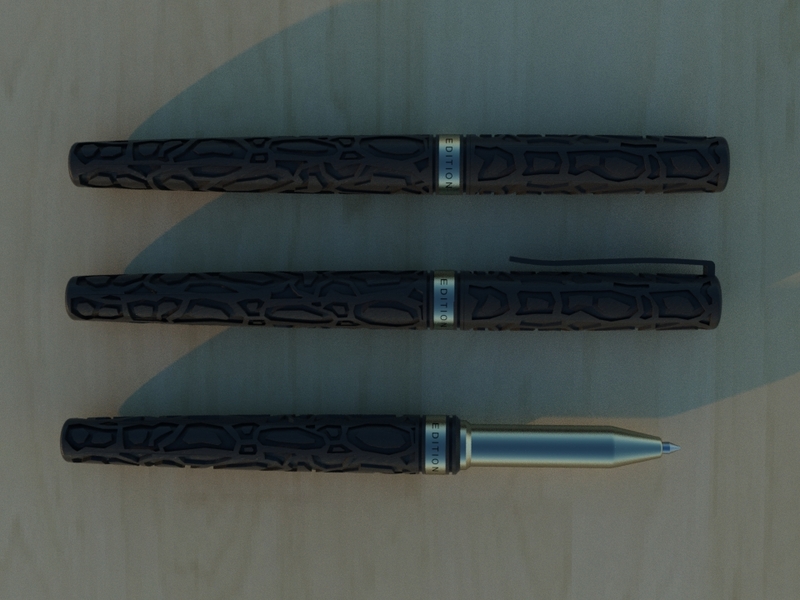 Secondly was because of my background in designing pens while at university. My third year dissertation project was a pen designed for people who suffered from ailments such as arthritis, RSI, etc. While devices exist for people suffering these conditions they are generally very clunky and medical looking, so I set about designing something that was a bit more personal and enjoyable to use. 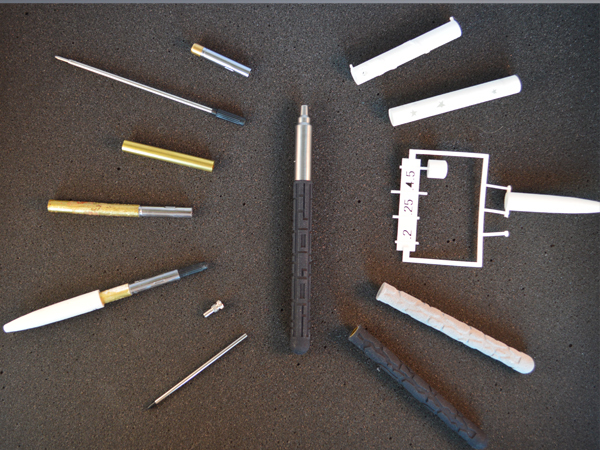 This pen utilised 3D printing to create a pen shaped and sized to the individual based on the dimensions of their hand and the condition (or conditions) they suffered from. It was then tailored in colour and pattern to suit their personal tastes so it wouldn’t feel like a medical product. From that, I realised that it wasn’t just those with medical conditions that might appreciate one of a kind products like this and I wanted to see if that was true… Hence the DNA pen project was born! Apart from the DNA Pen, which pen(s) do you use day to day? Up until recently I was using a Caran D’Ache Ecridor ballpen in the ‘Cubrik’ style, which was replaced by the DNA pen. However, as a designer I also probably do as much sketching as I do writing, so I’m also a fan of mechanical pencils, and in particular my Rotring Rapid Pro 2.0. I love that it’s slightly off balance and weighted more heavily towards the grip which gives great control of the pressure when sketching. Assuming this campaign is successful, what do you plan to do or make next? Well of course my main focus at the moment is making sure this project is a success. 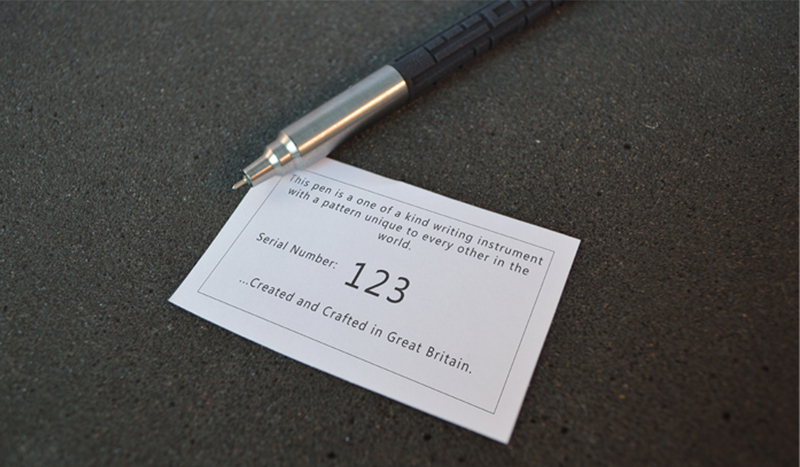 However, if the project does as well as I hope it does, I would love to create a fountain pen and rollerball version. These are just early concepts at the moment though. Is anything else you would like to say? I’d just like to thank everyone who has been involved in the project so far. There’s been some great support, comments, and suggestions since day one which have really helped this campaign to thrive and develop! Thank you so much Mike for taking the time to do this interview! Please head over to the DNA Pen Kickstarter page and support this wonderful project!